How to Install Free Antivirus (MSE) On Windows Server 2012 and 2008. Free Antivirus For Windows Server 2012. By default windows server 2012 does not have with a built-in anti-virus. for that, you can use free antivirus from a Microsoft. The Antivirus that can be installed on Windows server 2012 is Microsoft Security Essential or MSE. But there are little tricks to install it. And now I will show you how to install Antivirus on Windows server 2012. This is a basic level Antivirus for your home server or a small business server environment. But if you have any kind of sensitive data or if you're a small to medium business or larger, you should really be installing an enterprise level solution. MSE is a free Antivirus to give you an alternative to essentially having nothing in a server environment. The reason for this is standard Antivirus like AVG, Kaspersky, Avast, simply will not install in a Windows server environment. What we are going to do is download Microsoft Security Essential or MSE, and we are going to manipulate it slightly. So, the MSE will install into a Windows Server Environment. This guide is not a perfect solution but what it does is it gives you a basic level of Antivirus protection on a home server or a small business server that doesn't yet justify the cost of an enterprise level solution. You will need a few things in order to do this you will need a windows server installation. Let's get started this guide. Open your favorite browser, then type google.com at the address bar. Now, type download mse at search bar. We to do it just to make it easier to navigate to the command line. Now, run MSE application to install it. Once the installation run, you will see the actual issue that the MSE application is not supported by the Windows Server operating system. The installer will say "Microsoft Security Essential Cannot be Installed on your Operating System"
Now, just click close these windows. Right-click MSE.exe - Then click Properties. It will open the mseinstall properties window. You need to click the compatibility tab. From the compatibility tab, select Windows 7 under Compatibility mode. Make sure "run this program in compatibility mode for" is checked. Now, click Apply and then OK. If you try to run the mse installer again. You will see an error in step 6 above. This means the issue hasn't actually fixed. What we need to do is go to the command line. 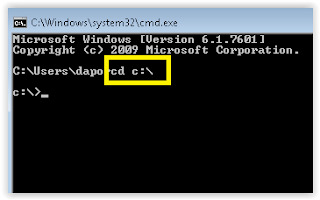 Type CMD at the windows search - Right-click and select Run as Administrator. From the C command prompt, type the following command. This command should run the mse application and disable the limitation. That is basically you need to do to manipulate the mse installation. Now we can go through the install wizard as if we are installing any other pieces of software. Just don't check anything at the setup windows. Once the installation completes you will be prompted to run a scan. Once you have finished downloading updates just hit yes and it will begin downloading for you, this may take some time depending on what kind of connection. Once the updates already downloaded, you'll have a full installation of Microsoft MSE on the Windows Server 2012. 0 Response to "How to Install Free Antivirus (MSE) On Windows Server 2012 and 2008."